� The tempered magnetic glass surface erases cleanly every time. � 15 year surface warranty. 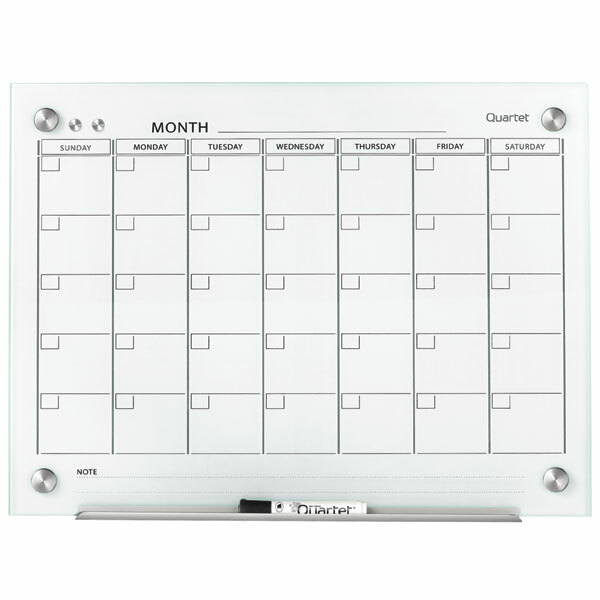 � Glass calendar boards help to maintain your schedule in style. � Includes a Quartet marker and pass through mounting kits. 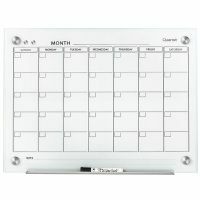 � Featuring pass through mounting and also include adjustable pen trays. � Will not stain or ghost.